Ah, the great British climate, so varied and interesting. And stimulating too, as it never ceases to engage our little grey cells in the fundamental holiday preparation questions of ‘what to pack’ and ‘how on earth to fit it all in’. Caravan storage boxes offer a versatile way of increasing the available storage in your home-from-home; tourers consider them to be some of the most important ’Van spares you can buy, as they can be the answer to the problems caused by our somewhat variable climate! Motorhome and Caravan Storage are ideal for packing beach gear and wetsuits should you be heading for the shore, walking boots and waterproofs should you be heading to the hills, even spare food should you be heading out to a more remote area for a few days. And if you are travelling as a family, add to the strain on space the other essential items that need to be brought in order to keep everyone warm, occupied and happy. Should you be considering erecting an additional ‘pup’ tent on arrival at your destination, so that the kids can have that experience of sleeping out under the stars, what better place to store it than in a roof box? With space at a premium in many modern motorhomes, investing in a motorhome storage box can make everyone’s experience a great deal more comfortable. 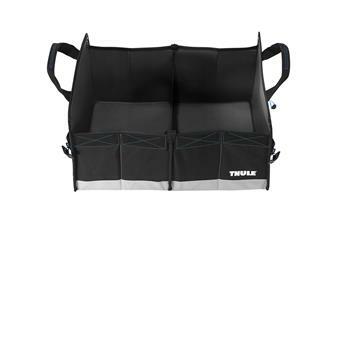 Whether you are looking for a rear-mounted or roof-mounted version, motorhome storage boxes act like an additional locker, providing safe, weatherproof space for luggage, for folding furniture that is otherwise difficult to store, even for sporting equipment like kayaks, should you be that way inclined! Traveling with a pet? Lord knows that Pet Accessories can take up more space than you comfortably have available. Now, we're not by any means suggesting that storing your dog in a roof-mounted storage box is a good idea, but getting leads, beds, bowls, towels and other doggy paraphenalia out of the way for the journey can't be a bad thing! 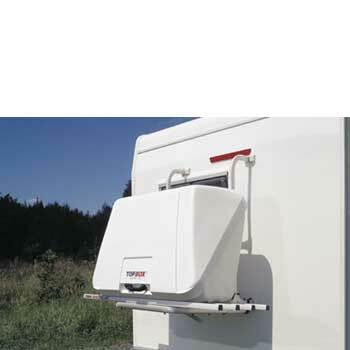 Highly useful caravan accessories, roof and rear mounted storage boxes are well worth the investment. At Leisureshopdirect we stock only the best quality caravan storage boxes and motorhome storage boxes, with relevant spares for maintenance. 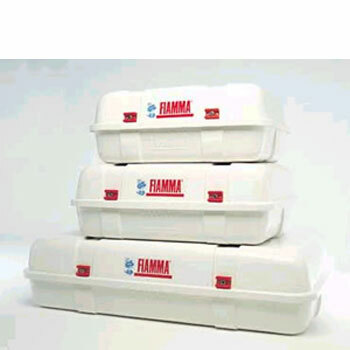 You will find a full range of Fiamma Storage Boxes ranging from Holdalls to rear-mounted and roof-mounted boxes. We also stock a full range of Omnistor Storage Boxes including the Omnistor Carry All Box range, ideal if you are looking for big volume luggage boxes and the Omnistor Top Box range complete with gas springs and waterproof locks.